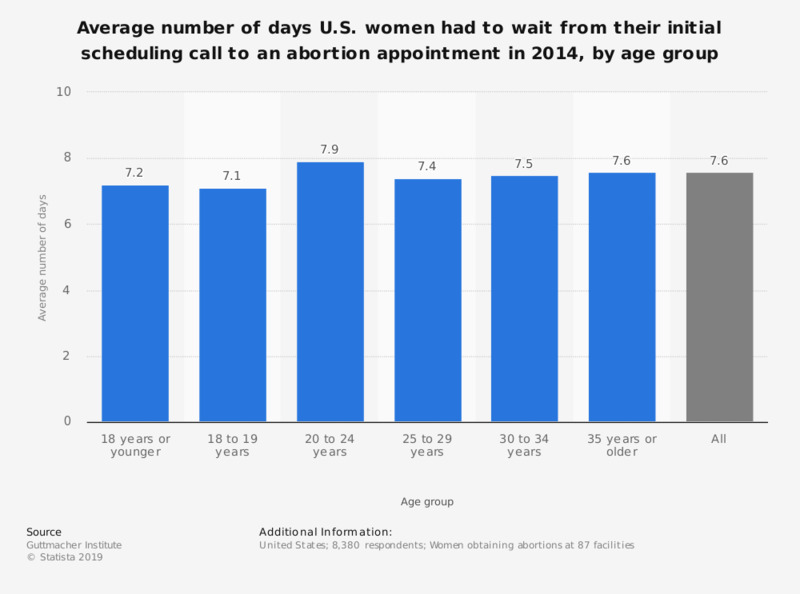 This statistic shows the average number of days between patients' initial scheduling call and abortion appointment in the U.S. in 2014, by age. In that year women aged 20 to 24 waited an average of almost eight days for their abortion appointment from the time they initially called to schedule an appointment. Data for this statistic was collected from April 2014 to June 2015.